The layer player. Everything you love about shirts and transeasonal jackets. In one perfect garment. Explore the modern layering must-have in a new design for the new season: the two-way zipper. Get a one-of-a kind collectible: our new, urbane two-way zipper model in denim, featuring the classic Eton logo from 1948. Heritage, innovation and the best materials and artisans in the world. Premium quality shirtmaking, every step of the way. From David and Annie’s Petterson’s kitchen table in 1929 to global luxury brand. The story — and obsession — behind the logo. Discover our latest collection and get inspired. The overshirt: the modern man’s most inspired layering piece. Made from a sturdier fabric—flannels, denims, cotton-linen blends—than the standard shirt, but featuring classic shirt design details.  (Of course, “standard” isn’t really a word that describes any Eton shirt accurately, but you know what we mean). Wear your overshirt as an extra layer in the colder transeasonal and winter periods, or as a replacement for a lightweight jacket in spring, summer and autumn. As a garment, the overshirt is the quintessential dress up/dress down garment: wear it over a shirt and tie for a smart look (buttoned or zipped up for a more formal look) or over a t-shirt for a more casual style. In Spring Summer 2019 we love the new zipper overshirt. Its urbane style, featuring a stand-out two-way zipper, is all about versatility: zip up for a dressy look, unzip for a casual, street-style inspired style. Perfect over a jumper or sweater.